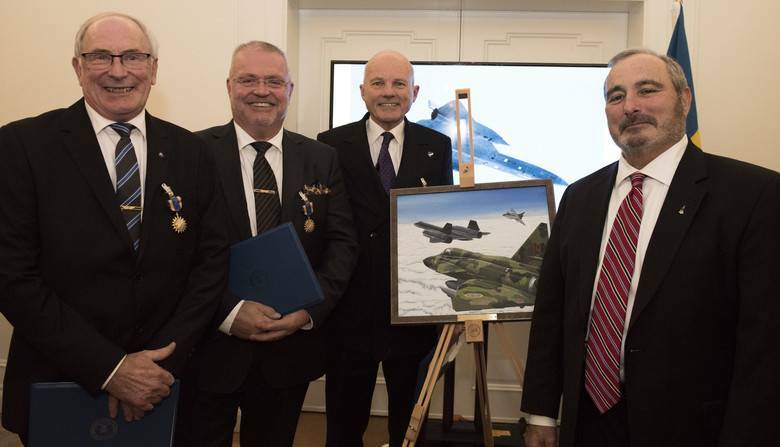 The article presents an interview with the former Viggen division leader, Per-Olof Eldh. The article is about near encounters with the SR-71 Blackbird near swedish airspace. He recalls one time as they where practicing airdefense over Gotland (an island outside the eastcoast of Sweden) but suddenly where interupted by the command central to intercept a target moving towards them, coming from the near costal area south of Stockholm. Per-Olof was guided to an direct attack at a target flying at 21500 meters (about 65 000 feet). His radar locked on at maximum distance,and the primary weapon selected was the Rb 71 Skyflash, and by the numbers presented to him he knew that it could only be a Mig 25 or the SR-71. As the contact came closer he could eventually see the gray siluette of an SR-71 passing a couple of 1000 meters above. Per-Olofs altitude is claimed to still be classified. But he says that he was higher then he had ever been before, and the sky turned black instead of the usual blueish colour. Since that day they had several contacts with the SR-71. They often flew very close to swedish airspace. coming from the east just south of Åland at mach 3, decreasing speed to mach 2.56 to make the turn and head south along the swedish coast, accelerating between the islands Gotland and Öland. Per-olof says that he made 5 encounters during his time as an active pilot. the Baltic and back at frequent intervals. A couple of Swedish pilots decided to have a bit of fun. So the next time an SR-71 went by, they scrambled with drop-tanks fitted. Дано това Ви се понрави,както на мен!! !Позабавлявайте се!!! If you have no desire to know anything about airplanes, please do not waste your time. If you like planes - take a peek. If you like fast, the key word here is FAST!!!!!!!!!!!!! !, planes, then read immediately. This is right up there with, but certainly better than, “Two Bags Full”. > the radio toggle switches and monitored the frequencies along with him. > talk to them unless we needed to descend into their airspace. > "November Charlie 175, I'm showing you at ninety knots on the ground." > frequency, in a rather superior tone, asking for his groundspeed. > cool on the radios. > "Center, Dusty 52 ground speed check." > to know how much fun he is having in his new Hornet. > "Dusty 52, Center, we have you at 620 on the ground." > Hornet must die, and die now. > "Los Angeles Center, Aspen 20, can you give us a ground speed check?" > boys have a good one." > Walter and I had crossed the threshold of being a crew. A fine day's work. gde orlite daje ne letyat. The SR-71 Blackbird, originally named the RS-71, but renamed when Lyndon Johnson accidentally rearranged the letters during his 1964 announcement of the existence of the SR-71 (or RS-71?). Anyway, it was designed by Clarence "Kelly" Johnson, at that time vice president of the Skunk Works. The project began in February 1963. The SR-71/RS-71 was built to be a strategic reconnaissance aircraft. Its first flight was on Dec. 22, 1964. The SR-71/RS-71 is the "true" successor to the U-2 in every way. The SR-71 took a huge leap over the U-2 instead of just a normal small step. As Kelly Johnson says, "It makes no sense to just take this one or two steps ahead, because we'd be buying only couple of years before the Russians would be able to nail us again. No, I want us to come up with an airplane that can rule the skies for a decade or more." Basically, he wanted a plane that wouldn't be obsolete in a couple of seconds (sort of like computers nowdays:). So, they made the SR-71. And they succeeded in their goal. Maybe even oversucceeded. The SR-71 has a top speed of Mach 3.5 (more than 3 times the speed of sound! ), can fly higher than 100,000 feet, and has a range of 4,000 miles! Unlike experimental rocket engines, the SR-71 can cruise at Mach 3, and fly from New York to Las Angles in less than an hour, on one tank of gas. It can also survey more than 100,000 square miles of the Earth's surface in one hour. 3. 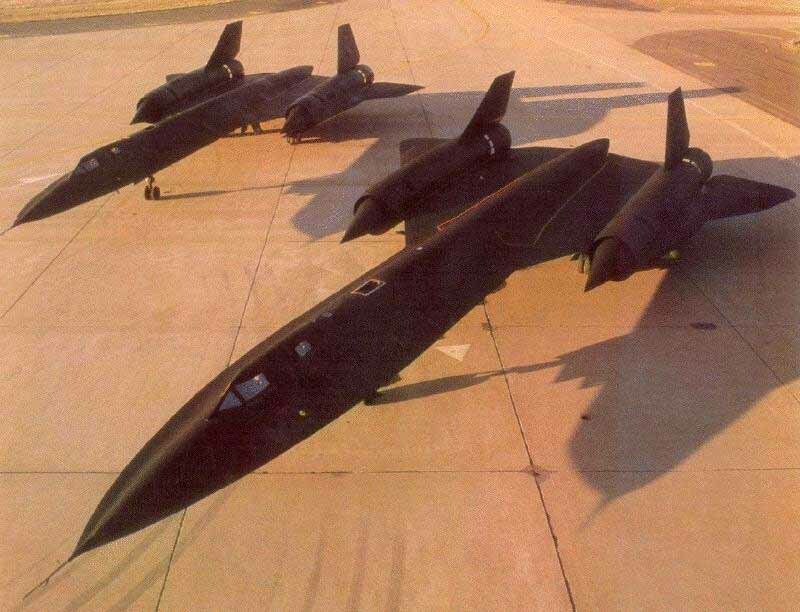 Never stated officially, but was widely believed, was that the Blackbird was being retired because a superior replacement was entering service (Aurora?). The Blackbird was in good shape. There were more than enough of many components (including engines) in storage to last as far out as you wanted to project. In fact, there are still hundreds of millions of dollars of parts, already paid for, in stock. Cost: Regarding cost, the SR-71 was not cheap. The cost of running the SR-71 fleet in the 1980s was $260 million annually. ABC News has stated that the cost of a single reconnaissance satellite is about $1 billion. It isn't cheap, but it isn't too expensive. It costs $50,000 an hour to fly the SR on a routine basis. 2. 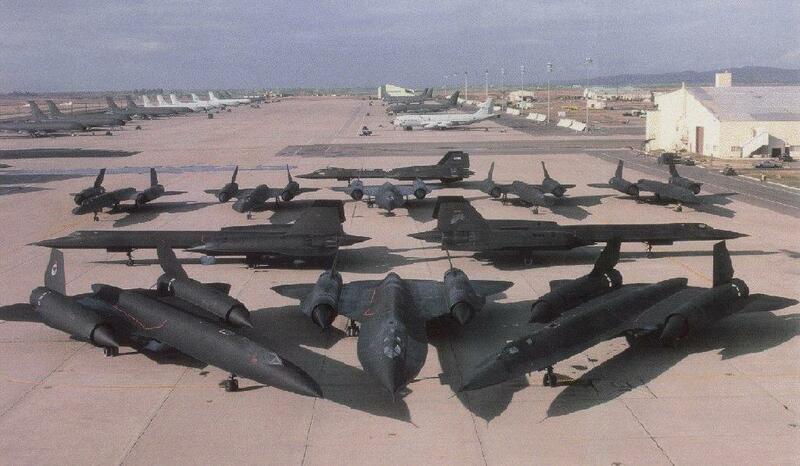 It wasn't a lack of work that sent the Blackbirds into retirement, there were far more requests for SR-71 time than there were aircraft to fly the missions. 1. The SR-71 was assigned to SAC. SAC, though, didn't really see the plane as contributing to SAC's mission (dropping bombs) or image, and it had always been somewhat of an awkward fit. Further, unlike its various C-135 modes and the U-2, the SR-71 couldn't loiter, nor did anyone ever promise that it could (although with some of its planned upgrades it could perform more functions than it was then doing). SAC really didn't want the airplane. 3. The biggest users of the SR-71 were the CIA, for obvious reasons, State and the Navy. The Navy had for years operated what was essentially a Mach 2, shorter legged SR-71, the RA-5C. When it retired, the Navy suffered a severe loss of reconnaissance capability. Although the F-14 provides reconnaissance capability with its TARPS system, that system has been held back while there are repeated attempts to give the Navy's Designated Wonderplane, the F/A-18, to take over the reconnaissance mission. As a result, the Navy has been an enthusiastic proponent of the SR-71 for reconnaissance as well as defense exercises. It is quite familiar with what a rapidly responding asset like the SR-71 could do, even when you had to go very high up to get the aircraft. USAF didn't choose to use most of the kind of intelligence the SR-71 could gather. However, funding for the SR-71 came out of USAF's budget, where it competed with other programs USAF wanted more. There had been proposals to treat the SR -71as a national asset and fund it accordingly, but these moves were blocked at various levels. There was also limited talk of the USN funding the program, but this also went nowhere. If you're the Navy are you going to fund an aircraft that isn't yours? If you're USAF, you may not want the plane, but there's no way you're going to let anyone paint "Navy" on the side of the fastest airplane in the world.� The SR-71 also was not liked by many of the "overhead" or satellite people at the NRO and elsewhere who thought satellites were the best for everything. They considered the SR-71 to be a competitive, rather than complementary system. By their very nature, satellite successes (and failures) tended to be very hush-hush and here was the SR-71 getting the "glory". Further there was the oft stated opinion by many that satellites could do anything needed better than anything else. While they are marvelous devices, this has never been true. The SR-71 flying around tended to gainsay the omnipotent image of satellites. 4. In the 1980s, opposition to the SR operations got stronger in a number of areas. Already planned sensor and maintainability upgrades were cancelled, and then because the SR couldn't perform the function an upgrade was supposed to do, this was given as a reason why the SR wasn't capable enough. Personnel rotation policies also were used against the SR. Because of its unique nature, the SR required service personnel that had a higher level of experience than other aircraft. USAF recognized this for many years and didn't rotate support personnel as often. In the 1980s, this policy changed and maintenance personnel went on the normal USAF rotation, lowering the experience level and increasing the mmh/fh ratio, which was then trumpeted as "proof" that the SR was becoming less maintainable. There were also options explored to further reduce the annual cost of the SR fleet, down to around $150 million annually. These would have involved greater use of contractor personnel, feasible on such a specialized, limited quantity aircraft, but were turned down as was the plan to permanently base (instead of operating as a Detachment) two SR-71s in England. 5. Then a T-39 crashed in April, 1985. General Jerry O' Malley was aboard, on his way to an official speaking engagement. He understood the nature of the SR-71 and its unique requirements and benefits. He was likely to become the Air Force Chief of Staff in 1986, and possibly even Chairman of the Joint Chiefs after that. When he was killed, General Welch went on to become chairman, and he was known as being hostile to the SR-71. This was when the SR-71's fate was sealed, although it took three more years to die. 6. The actual retirement of the SR-71 demonstrated its unpopularity with some at the top. Usually, when a major aircraft goes out of service, there are very high ranking officials present and numerous tributes are offered to the aircraft. At the retirement of the SR-71, many observers noted the absence of the usual highest rank of military and government officials at the ceremony. 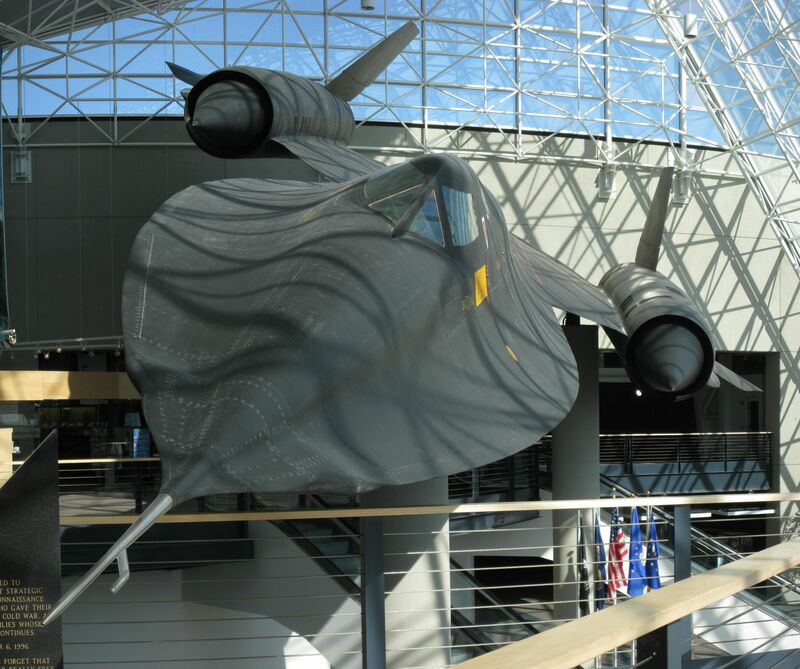 It's well known that the SR-71 delivered to the Smithsonian established new speed records, as the Smithsonian requested. What isn't well known is that the Air Force initially refused the request for a record flight, and in fact kept trying to block it up until the last minute. It took the personal intervention of Sen. John Glenn to permit the record flight to take place. Even then, the crew was instructed to fly a conservative by-the-book profile, which was unnecessary considering that this was to be the aircraft's last flight ever. After the arrival of 17972 at Dulles, USAF made no effort to help the Smithsonian in its preservation and it was left to deteriorate in the D.C. weather. The bird is now in a climate-controlled hangar, but that hangar was donated by the hangar manufacturer. One would expect that USAF would have pushed the PR value of this flight for all it was worth, but if you review the publicity of the time, you'll find it didn't come from there. 2. Less than a year after the record flight it became apparent that it was a big mistake. When Desert Shield began, Gen. Schwarzkopf was reported to have asked for the SR-71 very early on. It is known that very soon after Saddam moved into Kuwait, USAF approached Lockheed and asked how long it would take to restore SR-71 operations. Lockheed's response was that depending on the priority and if USAF could supply the sensor packages (USAF had them and even Lockheed didn't know where they were), the first one could be operational in 14 days and the next one around thirty days after that (remember, they hadn't been out of service that long at this point). There was no response for a number of weeks and then Lockheed was directed to forget the whole thing. 3. The SR would have had a major impact in the war. Basically, it could have done a lot better at tracking the ever-moving Scuds than sattelites would have. As it is, the best locating of Scuds was not done by airborne intel, but by special ops forces placed in Iraq. Stupid! 4. The people on top have left, and the ones that are there wouldn't be embarrased by the return of the SR-71. 5. The congress is funding it separately, so it doesn't compete with other projects. 6. Plus, the SR-71 fleet (what's left of it) is cheap. The planes are bought and paid for. There are lots of spare parts. 7. There are still people who know how to fly it. 8. The contractor is not getting filthy rich reactivating them. Only $72.5 million would cover it, and Lockheed ended up giving a good portion of that back. So, there it is, a basic view of why the SR-71 retired and then was re-activated. Пуснато на: Нед 05 Апр 2009, 14:16 Заглавие: Легенди за вироглавите "Черни птици" (SR-71)! Ще помоля темата да не се замърсява с подобни глупости! На днях четверо военнослужащих шведских ВВС получили американские награды за выполненную ими во времена Холодной войны миссию, которая была признана только в прошлом году. В 1987 году они помогли разведывательному самолету SR-71 Blackbird («Чёрный дрозд») уйти от возможного преследования советских самолётов, проследовав через воздушное пространство Швеции. Об этом сообщает американское издание WarZone. Полковник ВВС Швеции Ларс-Эрик Блад, майор Роджер Моллер, майор Кристер Сьоберг и лейтенант Бо Игнолл получили "воздушные" медали (Air Medal) во время церемонии в посольстве США в Стокгольме 28 ноября 2018 года. Ими награждаются лётчики за особый героизм или другие особые заслуги. Также присутствовали подполковники ВВС США Дуэйн Нолл и Том Вельтри – пилоты SR-71 Blackbird. ВВС США не потеряли незаменимый самолет, а жизни двух членов экипажа были спасены. - заявил Нолл в ходе церемонии. 29 июня 1987 года Нолл и Вельтри вылетели с британской авиабазы Mildenhall в направлении Баренцева и Балтийского морей. В их задачу входило, пребывая в международном воздушном пространстве, получение с большой высоты снимков объектов на территории СССР (находящихся, в частности, на Кольском полуострове и на побережье Балтики). Во время выполнения миссии «Балтийский экспресс» неожиданно вышел из строя один из двигателей SR-71. Самолет снизился на более чем 24 000 футов за считанные минуты и оказался в воздушном пространстве Швеции. СССР уже давно дал понять, что намерен сбивать американские разведчики в случае нарушения границ страны, что подтверждало уничтожение U-2 в 1960 году, который тоже пытался уйти от преследования. Не особо церемонились советские истребители и в международном пространстве, что, как полагает издание, продолжает делать современная Россия. При этом в узких границах балтийского региона имелся риск недолгого пребывания SR-71 на территории СССР в ходе своего падения, в связи с чем советские истребители могли уничтожить самолет. Мы не знали, кто нас найдёт первым. - заявил Велтри, добавив, что он и Нолл были обеспокоены возможностью начала «русской охоты». Поэтому они были в восторге, когда увидели шведские Saab Viggen и были уверены, что с этого момента советские самолеты будут держаться на дистанции. Швеция не была (и до сих пор не является) членом НАТО, но исторически оказалась более близкой к альянсу. Во время Холодной войны шведские военные активно патрулировали границы своей страны для пресечения вторжения с обеих сторон. Мы выполняли обычную операцию в мирное время. Наш оператор спросил: «Можете ли вы перехватить и идентифицировать цель?». Я сразу подумал, что это SR-71. Американский разведчик в это время выдал код «7700», что указывало на чрезвычайную ситуацию на самолете. Сопровождаемый истребителями, SR-71 вышел из шведского воздушного пространства на одном двигателе. После этого он проследовал через Данию в Западную Германию, где совершил аварийную посадку на базе Нордхольц. После инцидента Стокгольм согласился не придавать его огласке, как и другие миссии Blackbird, в связи с чем информация о нём была засекречена. Об этом стало известно лишь в 2017 году, спустя 30 лет, что позволило выразить публичную признательность шведским пилотам. Этот день в 1987 году показал нам, что мы всегда можем рассчитывать на наших шведских партнеров во время большой опасности. - заявил генерал-майор ВВС США Джон Уильямс.